I love a good co-operative experience. Whether it's shooting zombies online with your friends in Killing Floor 2, or sitting on the couch with three of your pals running a busy kitchen in Overcooked. Suffice to say, co-op games have bred some of my most unique and distinct videogame memories, and this is largely down to how well or poorly we communicated as a team. 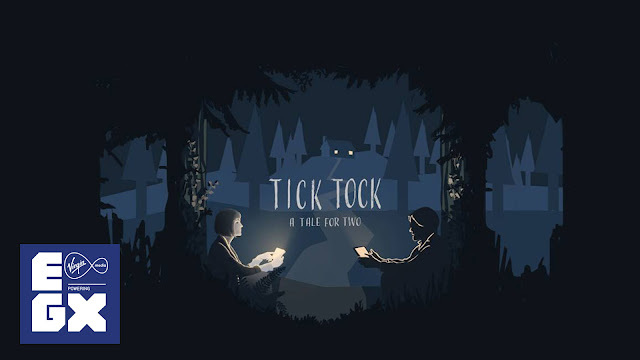 Tick Tock: A Tale for Two is a two-player puzzle game all about communication. 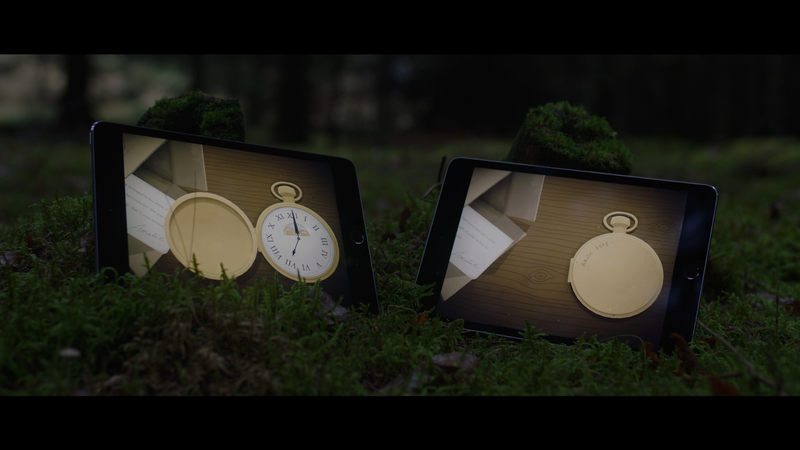 Inspired by escape rooms, the game is played on two separate screens where players must read out aloud to each other in order to solve the puzzles set before them. The game was born out of a thesis project by Tanja Tankred and Mira Dorthé at the IT University of Copenhagen. The two designers wanted to create an experience described as a "narrative for two". Once development was underway, it began showing appearances at Stugan, and then later at A MAZE., IndieCade Europe and Play17. It then made its way to EGX in Birmingham where I got a chance to play through a small portion. I played through a snippet of the game with Simon, the marketing manager at KA Games (the agency representing Tick Tock), as my co-pilot. In the beginning, we were tasked with synchronising a watch on both ends to run at the same time. Afterwards, we were transported to a lonely rural train station with the goal of signalling the locomotive's arrival. This involved us travelling into different buildings and solving a few puzzles, all the while informing each other of our whereabouts and what actions we were taking. Part of the emphasis on communication came in the form of torn newspaper clippings, where one screen would have half of a headline and article, and the other would have the remaining information. Both pieces of information are required, and so it meant having to relay what I saw on screen to Simon several times. "It's weird but it's really fascinating," he told me after our playthrough had ended. "We sat with Tanja and Mira at A MAZE. and we saw their passion," said Korina Abbott from KA Games. "The game is just really unique. It takes the co-op element to another level which you don't see all too often." "Tick Tock solves a really unique problem with indies in that networking is really difficult and expensive to run. You can play this game offline and in-person, or over the internet if you have access to live chat systems. So they've solved that networking issue quite cleverly. There's also a Discord server being set up which will be live when the game launches, so you'll be able to find partners. We know that's going to be an issue for those people playing and don't know anybody else who owns the game. With the game being entirely co-op, we're being very careful to make sure we message that correctly. We don't want someone to buy it and realise they can't solve any puzzles." One thing I felt important to ask was how distribution was going to work with Tick Tock, and whether one copy would cover two people. "It's two separate copies," Korina replied. "But we are looking at pricing structures and ways we can bundle it with the different partners. We're working with Nintendo, Steam, iOS, so if people want to play on two Switches that's fine, but also we're looking for ways gifting could work across platforms." With Other Tales Interactive being located in Denmark, the game takes on a zen-like art style reminiscent of Nordic fairy tales with broody, dark images. Despite the imagery feeling like something out of a Scandinavian horror story, the game was never scary. It instead felt warm and bold, like a children's bedtime story. I really appreciated some of the detail that went into the aesthetic, with each frame looking like a classic Danish painting. 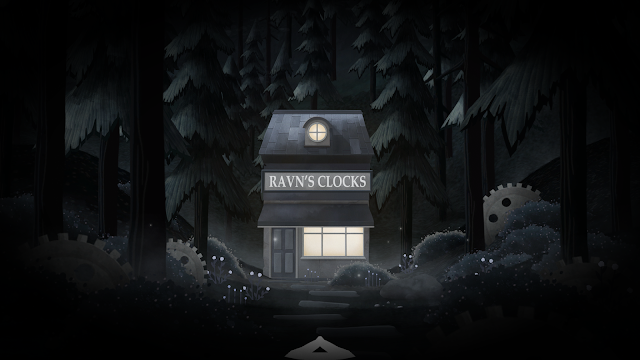 Overall, Tick Tock is coming along really well and I'm really looking forward to the full release. It isn't quite the stressful co-op experience like you would find in Overcooked or Keep Talking and Nobody Explodes, but it instead feels a lot more meditative. I think this is going to be especially fun to play with people who aren't traditionally gamers. Tick Tock: A Tale for Two is aiming for a Q1 2019 release date on PC, Switch and mobile platforms.